Somehow the Power Rangers movie has kept the Rangers’ Zords shrouded in secrecy (and fog). The first teaser posters showed us barely anything, so our best looks actually came from the toys—and now we have an even better look at all the Zords, and it’s still not an official movie reveal. 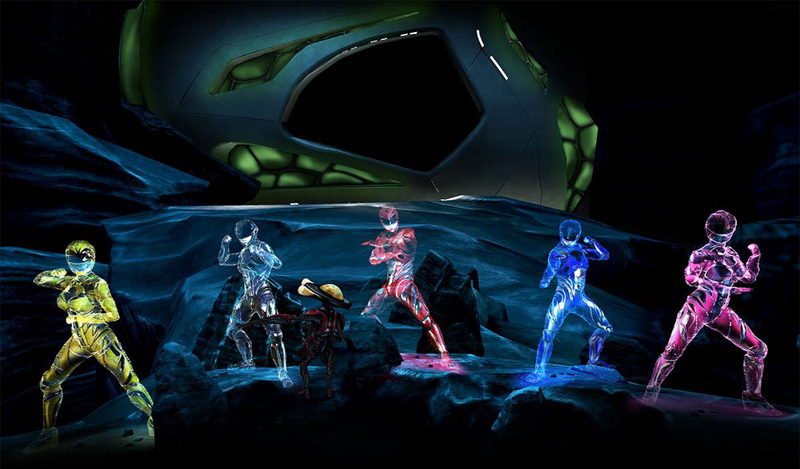 A new set of photos come courtesy of the new Power Rangers VR experience produced by Reel FX that Qualcomm were showing off at CES this past week (which also gave us the much-needed confirmation that Zordon will still be a bald head floating around on a display). Power Rangers: Zords Rising will let VR headset owners explore the Rangers’ base from the film, meet up with Alpha Five, see giant hologram versions of the Rangers themselves, and getup close to the five Zords themselves. While we’ve seen these designs before, that was in toy form—where play features and a general lack of detail sort of obscured just exactly how these mechs will look in the movie. This is basically how they’ll appear in the film—and weirdly enough they actually seem to lack the strange marbled texture of the movie suits, instead favoring the bright classic colors of their respective Rangers. They still certainly look bizarrely alien—especially the Mastodon Zord—but being able to see how these designs will actually look in the world of the movie helps, rather than seeing them isolated as (relatively cheap-looking) toys. Power Rangers premieres March 24.